Take your nutrition to the max with our Extreme Range, packed with every bit of knowledge we could cram into these pouches, the extreme range represents the cutting edge of sports nutrition. Our Vegan Protein made a name for itself as the smoothest most pure Vegan shake on the market today… you know us though, we don’t believe in stopping there. That’s why we wanted to move the needle again, and here we are… Vegan Extreme packs more protein, vitamins, minerals and healthy fats into one shake than almost any other protein powder available today. “Woah! Bold claim!” You might be thinking. “Yes, it is” we always confidently reply. This is because take one look at the 25g of pure protein per serving and the unrivalled ingredients list and you will see it’s nutritionally unrivalled. Not just because of the pure vegan philosophy that’s been strictly adhered to when making every blend that leaves TPW™ Towers, but also because of the way it harnesses the power of Soy Protein Isolate, White Hemp Protein, Faba Bean Protein and Sunflower Protein and then fuses it with a blend of Golden Flaxseed and a nutritionally-engineered vitamin and mineral blend that packs in over 20 different active ingredients. 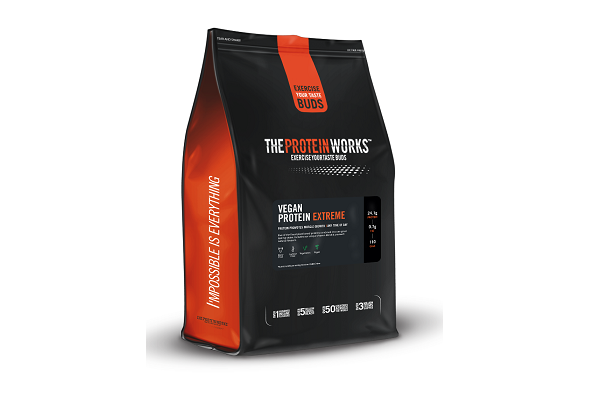 WHAT MAKES VEGAN PROTEIN EXTREME SO GOOD? What does that mean for you? Well, when we said its more than a shake we meant it, this masterpiece is primed with more plant based power in every scoop than we think the world is ready for! But that’s the TPW Ninjas for you, like the philosophy of this new innovation, they took the engineering on this one to the extreme, so you’ll be hard pressed to find anything comparable out there and you certainly won’t be searching for anything that blends better, or tickles those taste buds in the same way!. Total Mass Matrix Extreme has been dubbed Europe’s most nutrient-rich and calorie-dense weight gainer by our social community. 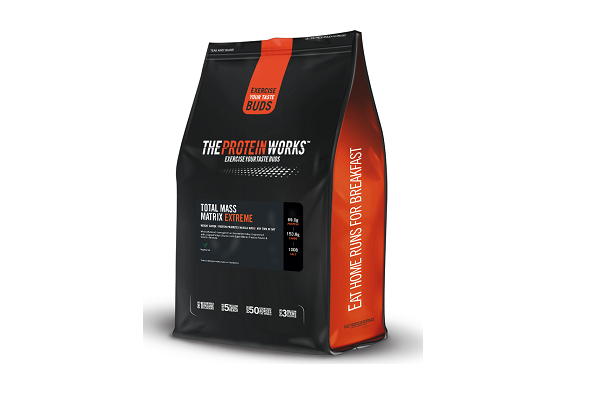 Containing a tri-protein blend that delivers over 60g of our award-winning protein and over 1,000 calories per serving**, it has been designed for anyone who wants to increase strength and add sheer size and mass in the gym. How does it do this exactly? By ensuring you meet your nutrient and calorie requirements better than any other protein shake or mass gainer on the market, that’s how! This is because the impressive protein, fat and carbohydrate profile of every Total Mass Matrix Extreme shake is enhanced with premium-grade single extract ingredients and amino acids. This includes a multi-source creatine blend, L Glutamine, a Vitamin B energy-yielding Vitablend, Super Grains and the much publicised ‘good’ fat, Medium Chain Triglycerides.